You are here: Home / Randomness / Information Overload Madness! If there is one thing that can happen it’s information overload. Your saving emails to read later. Maybe you created some swipe files that you been meaning to go through. Book marked some sites you need to go back and revisit. 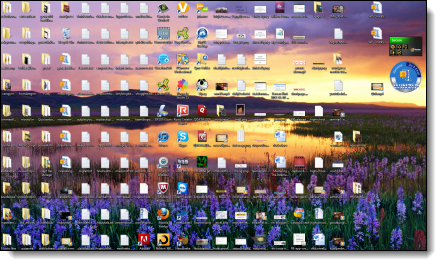 …Does your Desktop look like this? I know it’s crazy the even crazier part is I am getting ready to clear my desktop again for the 9th time since sept of last year. That’s just nuts right? So what do we do about it? I tried the whole creating files in fact I have hundreds of files within hundreds of more files all collecting digital dust. More than likely I will never ever get back to it. Can anything be done to stop it? So what wisdom can I impart on you after a decade of marketing online? Create a routine that you can stick to on a daily basis and just forget about it! One thing that I do is set a daily schedule for myself. So while I may still see wasteland of information on my work computer. I worked out a system if you will to get things done on a day to day basis. I am on my computer a lot. It use to be to play computer games, but now mostly the time I spend online is working. 5. I usually decide at the last minute to do a video. When I do them about 30 minutes from the time I record to the time I upload. Once I have made up my mind to do something, like say Empower Network. I only focus my efforts on promoting the one product. I see people all the time jumping from one op to another op always hoping the grass is greener on the other side. Information overload really only gets the best of you, when you are consistently inconsistent with what you are doing. Internet marketing is actually very easy. Pick something anything and don’t stop doing “it” till you mastered it. Don’t look at other ads, don’t jump into other businesses, don’t buy new software. Don’t do anything until you achieve your goal. Whilst on the subject, everyday you should have a checklist of things you want to get done for the day. Don’t do anything other than checking off your to do list as you get done your work. If your feeling overwhelmed it’s only because you bit off more than you can chew. I am sure you heard people say if you get to frustrated just walk away from it for awhile. What people actually do though is instead of walking away for awhile, they move onto another project that ends up causing them grief and before you know it, you have a million projects all staring back at you. If your a newbie, don’t try and learn 25 things at once. Rather, pick just one thing and focus all day on just understanding that one task. 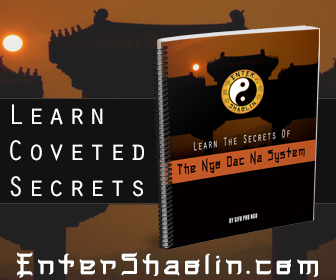 If your a total newbie give yourself 6 months to learn what you are doing. If you are newbie and you want to make money in said 6 months be prepared to spend money on advertising.. More than you think you need to spend probably. Fact is: People will only pay you for your time, when they feel you are worth the cost. This is why if your free method of marketing is using traffic exchanges, hell may freeze over before you see your first sale. So to avoid information overload hell, trim the fat from your inbox. Get rid of any marketers who are emailing you and not providing you with any value. Next drop any program that you aren’t getting anything valuable from, finally focus on just one thing at a time. You will find that if you follow this advice you will have no problem staying ahead of information overload. Information Overload – How to Overcome it! Thanks for the tips. I guess it’s time for me to trim down my inbox and delete those useless ones. I too don’t like such desktops, I usually like to keep my desktop clean with limited files. By focusing on so many things you’re wasting your time and your output also reduce. I agree. My desktop is typically empty, unless there is a particular task I am working on, in which case it is the only thing I see on the desktop, making it easy to see that I have something to accomplish, and preventing me from seeing other things that could be potential distraction. The picture you shared at the start of this post, made me remember my brother’s desktop. It was always loaded with so many icons. I always used to ask him to prune it. I am sharing the link of this blog with him, so that he too can read and capture the ways to reduce the traffic on the desktop. Thanks for the share. This is something I suffered from when I was starting in blogging and online marketing. I still struggle with it from time to time even up to this day but I realized that I will be able to make the most out of my time when I refrain from trying to learn everything. Now, I unsubscribe from mailing lists that are similar to those I already have. This saves me time reading and inbox space. Plus, the one thing that I first learned is that once you have learned the basics, go ahead and start doing something. Some make the mistake of trying to learn everything before taking action. This is not going to help them get anything started. So my motto now is, learn enough, take action, and continue learning. Bro, it seems that you’re blogging on a blazing speed, considering you’re managing 3-6 blog posts everyday. How’d you manage to do that in 45 mins? Ways on how to avoid info overload is exactly what I needed. Most especially for bloggers and career people who focus on using computer in their everyday work, we just keep on stocking everything on our computers. Awesome blog! Thanks a lot! Thanks for these very nice tips. A desktop full of icons could only add distractions. I might as well start sorting out mails and keep the important ones as it is quite full at the moment. I wished I had read this article while I was still back in med school. Could’ve saved me the multiple breakdowns and terrible migraines!